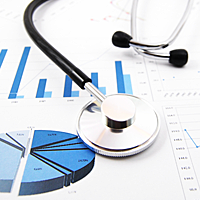 Review the health of your practice in summary or in detail with our extensive Reporting and Analysis tools. Generate third party Billed-Collected-Adjusted analysis on all charge categories with monthly or year-to-date totals. Issue Accounts Receivable aging reports in multiple formats. Ability to export report data. At-a-glance professional data in summary and comprehensive detail. Create frequency reports on procedure and diagnostic codes.